Every journey starts with a step – probably one of the corniest sayings we’ve come up with as a species. I much prefer “no guts, no glory.” Corny or not, both apply to this story. What started as an idea in Xander’s head when he took the first sponsorship paycheck CZ ever got (from our wonderful friends at Eve Bet) and put it towards written content instead of his own pocket, has grown into the beast most of you are quite familiar with today. Back in early 2014, the reins to a fledgling EVE media site were given to a lowsec nobody who was very much the definition of insignificant in the grand scheme of things. That site was CZ and that lowsec nobody was me. At the time it felt like a herculean task, which is ironic considering how much it has grown a lot since then. I still have no idea how we got to where we are. It kind of just happened while we were busy getting from one day to the next. What we were building didn’t actually sink in for me until Dirk McGirk mentioned on one of the 641 shows he’s involved with that Crossing Zebras was one of “The Big Three” – meaning EN24, TMC and CZ. We wanted to do something different from the other two. Taking topics to the next level and being a platform independant of ingame political interests were always, and remain, the fundamental cornerstones of CZ. At least, that is what we strive for. If we have achieved that up to now we leave to you, the reader, to judge. What you see in front of you is the third iteration of the Crossing Zebras site. It was designed by me (barring the logo, which the amazing Rixx Javix is responsible for), coded by Jeg Elsker, and presided over by EVE’s most persistent bulldog, Xander Phoena. It is very much a product of CZ from the ground up – for better or worse. We have been wanting to transition to a more modern, more content-focused design for a while, and Xander finally managed to corner Jeg and me into getting it done. However, the timing couldn’t have been worse, or better, depending how you look at it. Just before World War Bee broke out in earnest, we had put out a call for new writers. When the war went from brewing to the front page of every EVE medium you can think of, everything at CZ got tuned to 11 – all while we had new talent coming in. So we were redesigning the site, screening new staff, handling a lot more content and prepping for Fanfest – which I am proud to say will be attended by no less than 15 CZ staff – all at the same time. To manage it all, Xander put in some ridiculous hours editing, and Oh Takashawa stepped up to the plate like a pro and is now a member of our management team. Meanwhile, Jeg and I grabbed whatever free time we could find to get the site done in time for Fanfest. I blame Jeg for any and all bugs. At CZ, we’re not just trying to ride the wave of WWB, we’re trying to build for the future as well. We have been growing consistently since day one, and will continue to do so. We believe in what we are doing and we’re thrilled that so many of you have shown your support. In other words, it’s you, the readers and listeners, that motivate us to put in that next gear and do our utmost to get you the best content possible. Things that will give you food for thought, stir up interesting debate or even just make you laugh. 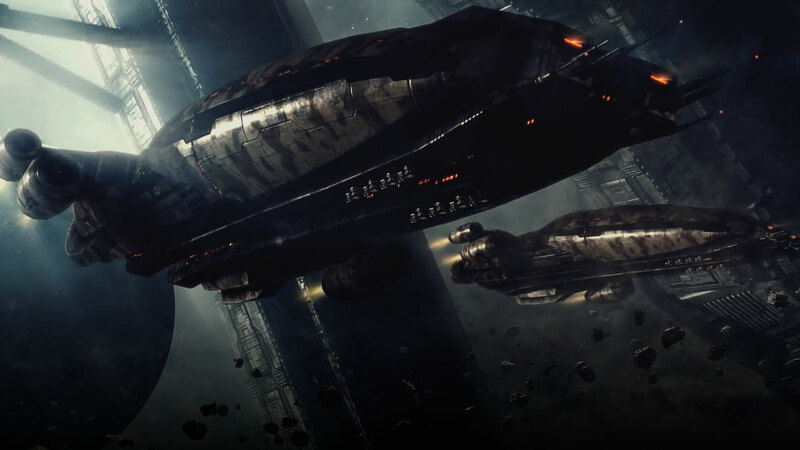 In the end, Crossing Zebras is a celebration of all things EVE Online and it’s amazing community. Now if you’ll excuse me, I have to pack for Fanfest. PS: There are still parts of the site that need refining, we are aware, and are working on it.